« Episode 10: Stupid Brothers! The doors opened at 11:00 am, and by 11:46 they started turning away fans because the park was full. Hey everyone! 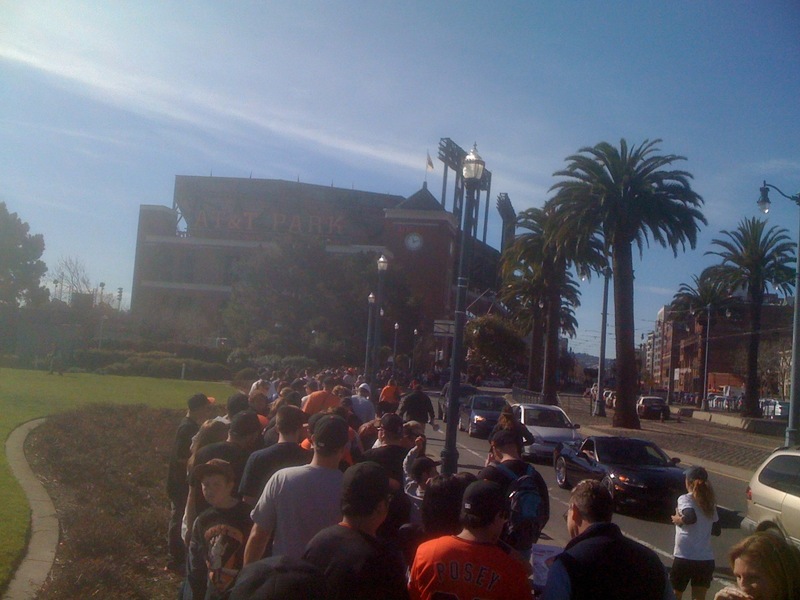 As mentioned in our recent podcast, we here at GiantsPod Corporate headed down to Fanfest 2011 at AT&T park last Saturday morning. It was quite a spectacle and, thanks to Bill Zarchy, here’s a slideshow of what we saw there. Check out the full slideshow, and we’ll keep a rotating slideshow in the sidebar or on this post after the jump. Go Giants, and go Giants fans! Photos by Bill Zarchy. Copyright 2011.